Kohli is currently taking some time off from cricket after being rested for India’s ongoing T20I series against West Indies. 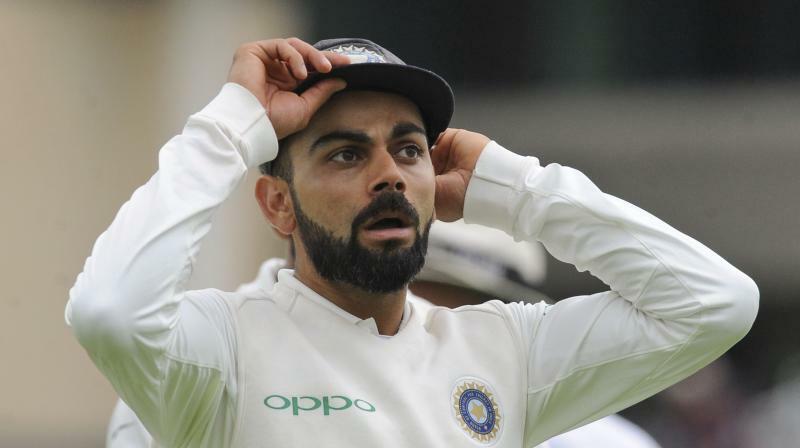 Mumbai: Former India cricketer Aakash Chopra voiced his opinion on Virat Kohli’s controversial ‘leave India’ remark to a fan saying that the comment did surprise him. Kohli, while launching his official app on his 30th birthday recently, read out a comment where one of his fans called him ‘over-rated’. "Over-rated batsman and personally I see nothing special in his batting. I enjoy watching English and Australian batsmen more than these Indians," Kohli can be seen reading in a video that has gone viral on social media. Okay, I don't think you should live in India then...you should go and live somewhere else, no? Why are you living in our country and loving other countries? I don't mind you not liking me but I don't think you should live in our country and like other things. Get your priorities right," he goes onto say. "I don't think this is what Virat Kohli is or this is what he actually thinks. In the last 18-24 months we have seen a lot of maturity with regard to how he speaks, what he actually portrays in the public domain...in all the post match interviews he's someone who's is not happy to take credit himself. But he's happy to be very, very modest and humble,” Aakash Chopra said to India Today. "It does surprise me. What he has said is something, yes, disappointing, unacceptable but then freedom of expression allows us to say what we want and I also feel social media at times gets the worst out of us,” he added. Chopra went onto say that Kohli would not be proud of what he said. He was trying to address a mean tweet perhaps he had gone through a multiple mean tweets before reacting or choosing to react to one...he could have done better. When he'll look back at it, I don't think he'll really be proud of what he said,” the 41-year-old added. The Delhi cricketer will return to action later this month when his team embarks on a long tour to Australia, where they will play three T20Is, four Tests and three ODIs.